I have been reading a paper by Adrián Liberman, psychoanalist (www.ipa.org.uk). Very interesting and deserving to be read in full by anyone who is interested in Psychoanalysis and its connection to life in general. “An inner world that is expressed through the fantasies of inclusion or exclusion takes on an ominous and sinister appearance when it is reinforced by the prevailing political discourse. And when this phenomenon appears on the couch we have to ask whether it can be dealt with via the familiar dynamic between projection and introjection”. Lieberman goes on saying that the absence of the word is the path to mandness and de-humanization. And that our task as analysts/therapists is to to restitute the word, ie to make possibe the recovery of the copacity to think and speak as the road to the reaffirmation of human law. “ [the] emergence [of political conflicts] in the form of hate throws into question the practice of psychoanalysis when the latter fails to take current events into account. In principle, I believe that this situation obliges the analyst to make an open defence of democracy, especially because, in the absence of the rule of law, compliance with the fundamental rule [neutrality and abstinence] becomes meaningless. (…) One could think of this as a kind of democratic activism both within and outside our consulting rooms. Creating such a figure would also mean that psychoanalysts return to the polis, to the public arenas which the Greeks spoke about, and thus they would return to civil action and to having a deliberate presence in the public sphere so as to complement the above. Such an intentional shift would aim to blur if not erase the artificial distinction (not to mention dissociation) between the public and the private. Hate that is constituted in culture cannot be combated merely from within the four walls of our consulting rooms with our analysands, who will always be few in number compared to society as a whole. Rather, it requires the bringing together of an ethics of commitment with the ethics of desire. 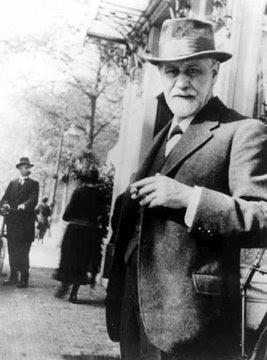 Freud, it has to be said, was never against this, and in fact always viewed such an idea favourably”. In other words, the issue is the old one: What is the connection between psychoanalysis and society and culture and what is the role of analysts in citizenry.